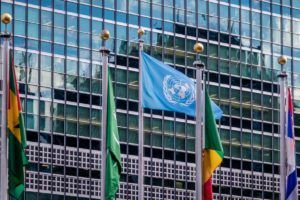 The United Nations Commission on Narcotic Drugs (CND) will not vote on the World Health Organization’s cannabis recommendations at its March session in Vienna. That news comes after the release of the recommendations, which had been expected in December, was delayed. The proposal, made by the World Health Organization’s Expert Committee on Drug Dependence, could have a significant impact on the global medical cannabis and hemp industry if adopted. A detailed analysis can be accessed here. Several member states requested additional time for considering the recommendations, including Japan, the United States, Germany and Russia, while representatives of Norway and Uruguay emphasized the importance of not delaying the vote without agreeing on a specific future date. The cannabis rescheduling recommendations were sent to member states at the end of January instead of being announced at the CND’s 61st reconvened session in Vienna, which would have given member states at least three months to consider the proposals before voting at the March session.